Getting ready to leave home and move off to college can be pretty overwhelming. 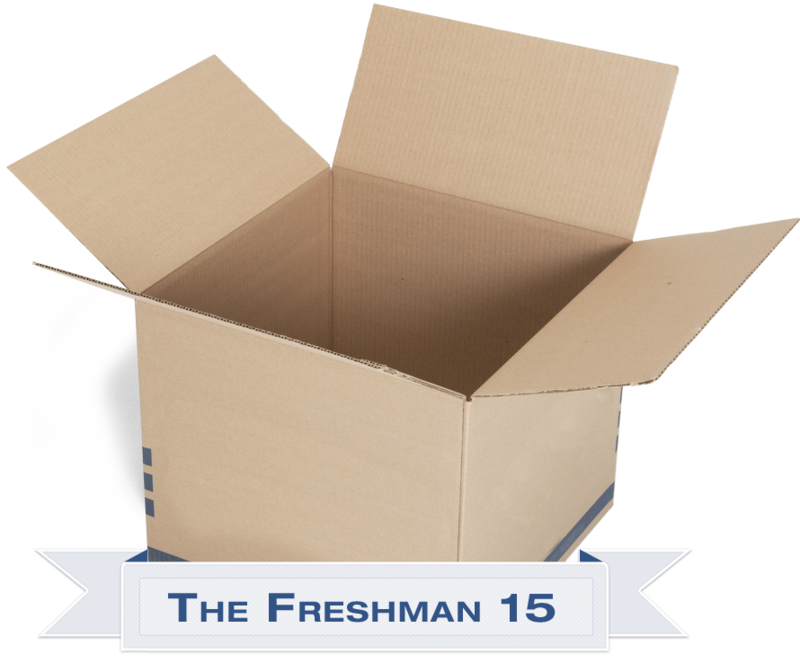 Amidst the anxiety and excitement you feel about starting your freshman year, you may also feel a little dread about the packing you’ll have to do in order to get there. Keeping lists is a tried and true method for staying organized. It’s an easy way to remind yourself of what you need to buy, what you already have, and what still needs to get boxed up. There are some no-brainers for the master list: clothes, proper bedding, your laptop, etc. However, below are five useful things that should definitely not be overlooked when packing up for the big move to college. If you think packing is tough, wait until you have to unpack! A day of unloading, moving, and unpacking boxes can be exhausting. While you may work up an appetite, you likely won’t have time to get lunch. Because of this, it’s important to bring snacks! For move-in day, bring a few sandwiches and some kind of treat. If your roommate gets hungry while unpacking, you can get on their good side quickly just by offering them a few cookies. You should also pack simple food items to keep stored in your room for later dates. Microwaveable noodles, popcorn, and granola bars are just a few things that are always good to have in stock in a college dorm room. 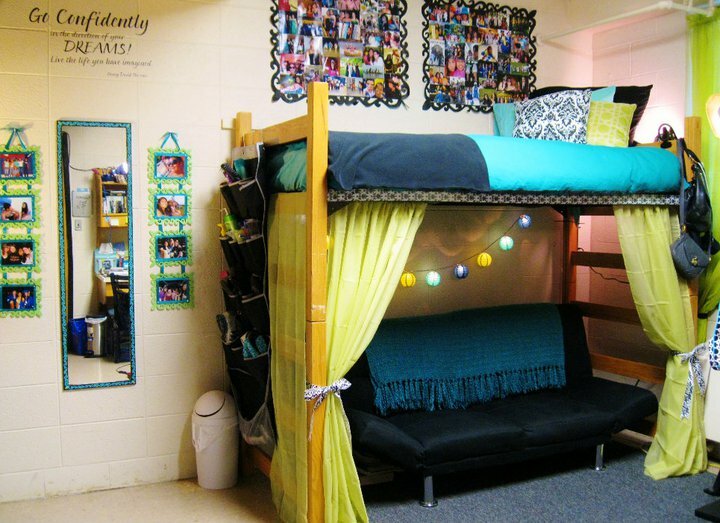 Using bed risers is an inexpensive, easy way to get a little more space in your dorm room. Odds are your new living quarters are going to be tight— especially if you’re sharing your dorm with one or more roommates. Use bed risers to elevate your bed an extra five or so inches off the floor. It might sound like an insignificant difference, but it can add just enough room to allow storage bins, trunks, or boxes to stack under your bed. Dorm rooms never seem to have enough outlets to serve the modern-day student. The objects that can hog wall outlets include lamps, fans, alarm clocks, and chargers for laptops, cellphones, and mp3 players. Pack a multi-outlet surge protector to ensure that you’ll have access to all the electricity you need. Surge protectors are great for dorms because not only do they provide extra outlets, but they protect against power surges. The bathroom you use when you’re living in your new dorm probably doesn’t have a stocked medicine cabinet like the one at home did. Remember that it’s important to pack a first aid kit! Keep it simple— grab an old pencil box and fill it with basics like bandages, wound ointment, aspirin, cough drops, tissues, and a thermometer. Hopefully you won’t need to use your first aid kit often, but you should always be prepared! You may be away from home, but living in a dorm isn’t a vacation. In other words, you still have to do laundry. Unfortunately, you’re probably going to have to pay for it, too. Different schools have different laundry situations for dorms, but it’s always important to bring a few rolls of quarters with you to college. Dirty laundry will pile up faster than you think, and if you’re out of change, you might be out of luck. Some colleges have laundry machines that allow you to swipe student ID cards to pay. However, even if that’s the case, it’s smart to keep some quarters around just in case. Don’t enact the cliché of sniffing your clothes to determine whether they can be re-worn a few more times; keep a jar of quarters handy and keep your laundry clean! So, add the above items to your list, whip out some empty boxes, get packing, and become more prepared for your freshman year at college!